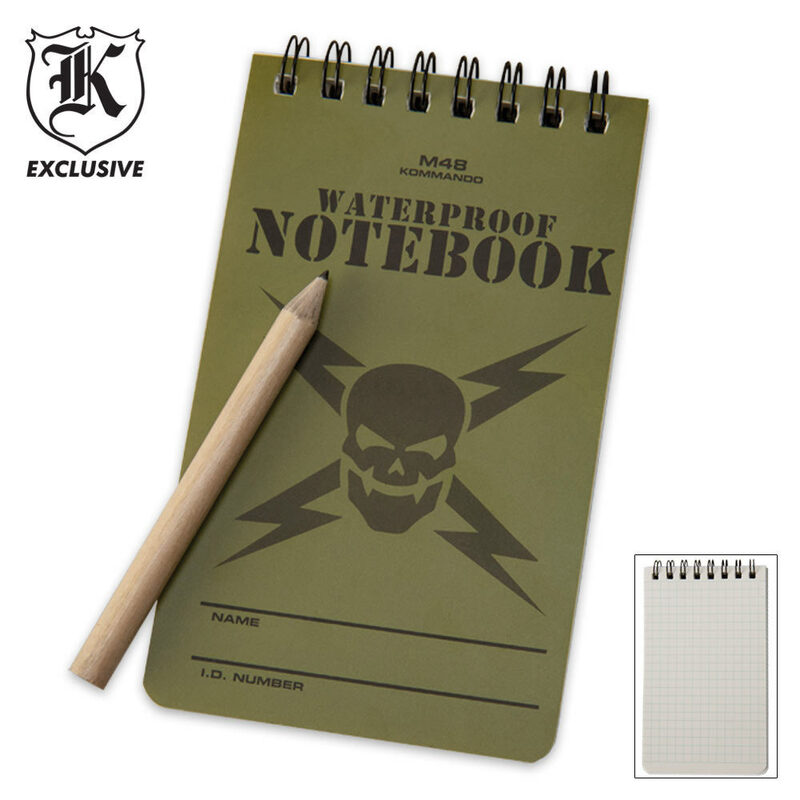 M48 Waterproof Notebook & Pencil | BUDK.com - Knives & Swords At The Lowest Prices! The M48 Waterproof Notebook's convenient size and functional field interview page format make it standard operating equipment for thousands of officers across the country and around the world. This notebook is durable and waterproof. Bought this for my grandson. He uses it all the time. Its handy, can fit in a pocket. Plan to get some more. This is a great buy. Not only water proof, but pretty weather resistant as well. Left a note for son on his car when we went hiking. 3 days later after rain and all together bad weather note still there and easy to read.